‘I’m not superstitious, but I am a little stitious.’ Michael Scott. | Sally says . . . eat, sleep, work, read, play, draw, bark . . .
← ‘The most affectionate creature in the world is a wet dog.’ Ambrose Bierce. ‘I’m not superstitious, but I am a little stitious.’ Michael Scott. I have never really thought of myself as a particularly superstitious person. Sure, I ‘knock on wood’ when the occasion warrants it, and ‘break a match’ when two things have gone wrong and I don’t relish a third, and I never, ever put new shoes on the table. (Only ‘new’ shoes mind, apparently old shoes don’t count. I have absolutely no idea why this is a thing but my Mum was always adamant—no new shoes on the table. Ever.) 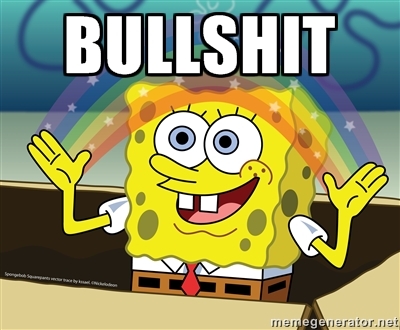 But other than that . 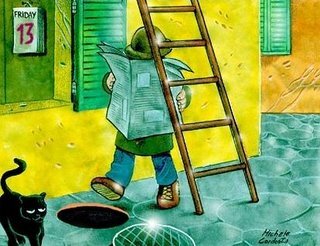 . .
oh, and I don’t walk under ladders because—well—who does that? That’s just asking for trouble . . . . But when it comes to Friday the 13th I admit I have never really given the day much thought, so I was quite surprised when I read an article recently about how many people there are in the world who have really serious issues with the day. And I mean scared (hopefully not) to-death, can’t-get-out-of-bed-or-leave-the-house issues. 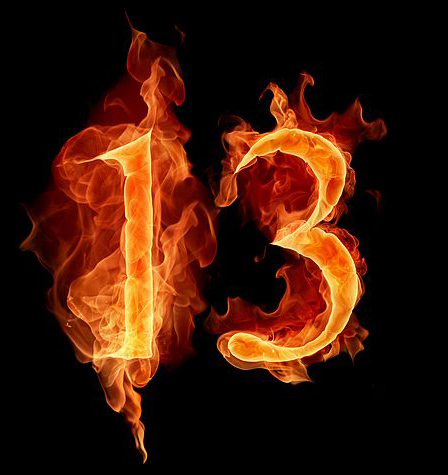 I knew there was a name for the fear of anything associated with the number thirteen (13), although I didn’t know what that name was. When I looked it up I wasn’t surprised I didn’t know it—Triskaidekaphobia. Triskaidekaphobia is apparently so widespread as to be the main reason that so many high-rise buildings, hotels and hospitals don’t have a 13th floor and many airports do not have gates numbered 13. Likewise, the Christian tale of the ‘Last Supper’ names Judas, Jesus’ betrayer, as the 13th guest at the table. Apparently ‘frigga’ affects millions of people worldwide and it is estimated that many businesses incur huge losses on that day. The bad news for suffers (and businesses it would seem)—is that every year will have at least one Friday the 13th. The good news is, there can’t be more than three Friday the 13ths in any given calendar year. And although studies have been done (do we know of anything there hasn’t been a ‘study’ done on yet?) 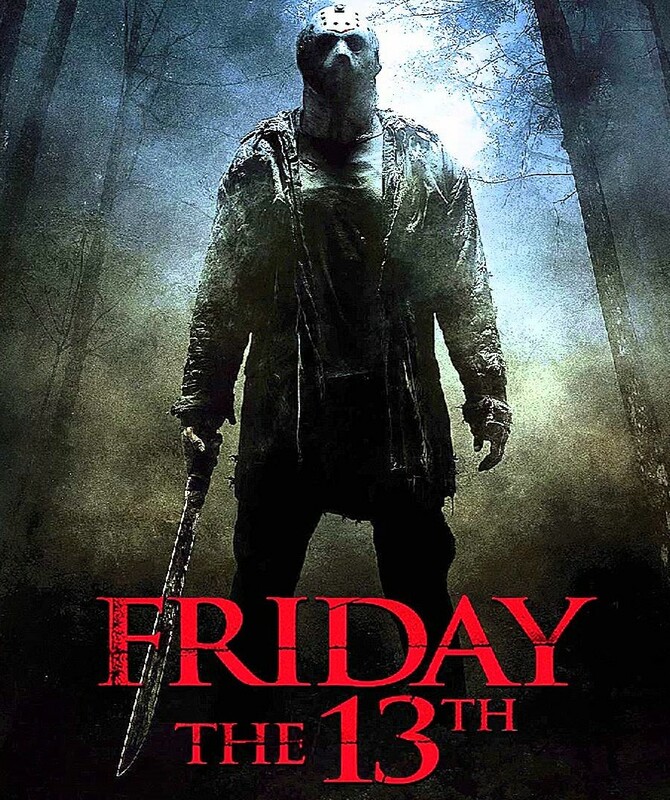 there seems little evidence to suggest that Friday 13 is unluckier than any other day (although rabid fans of Jason Voorhees might hasten to disagree). But you know, if you are not worried about the number 13, and Fridays in general hold no angst for you, then there is probably not too much for you to worry about . . .
. . . if you don’t spill any salt . . . or break any mirrors . . . or open your umbrella indoors . . . or light three cigarettes with one match . . . don’t (obviously) walk under any ladders . . . and you speak very nicely to any black cat who crosses your path . . . what could possibly go wrong? “Kelp for brains” – I like it, a very creative insult 🙂 – I guess we all know a few people that fit the description! Great Sal – 13 good day to be born I hear. Hey- should have been link to Sponge Bob Square Pants 13 bad words. You got me interested and had to look up myself! You barnacle head! Love from your ‘kelp for brains’ friend. Ha! I deliberately didn’t put the link in to stop you checking them out – while you were at work!!! Pity our Discussion Group doesn’t meet on a Friday as the topic this week was Superstitions – would have been perfect for Friday 13th! Some of my favourite superstitions are the ones associated with the theatre – never say Macbeth in a theatre, never whistle on stage (not sure what happens if an actor is required to whistle in a performance! ), “break a leg” for good luck & my personal favourite, only in Oz …..”chookas!” Check out the origins, funny stuff! There are for sure some really odd superstitions out there. I could have listed pages and pages of them . . .
Well a great example is yesterday my youngest grandson came down with chicken pox and my daughter (his mummy) is 9 weeks pregnant and had to go to hospital yesterday to be checked out and blood tests taken as a precautionary measure as it is dangerous for pregnant women in their first trimester to come in contact with chicken pox. All is well phew…..
Oh No – what a day you had! Glad to hear that everyone is well at least. Not sure when the next Friday 13 is, but I would start making preparations now. Perhaps an underground bunker . . . I have had a lot of good things happen on the 13th…. well I live at number 13 and never been happier – touch wood quick!! The kids’ investment property purchase “cooling off” period ends today, so I also hope that the day comes and goes without a hitch for them. Don’t think I will be having a bet on the horses today though, that would be pushing things just a wee bit too far!